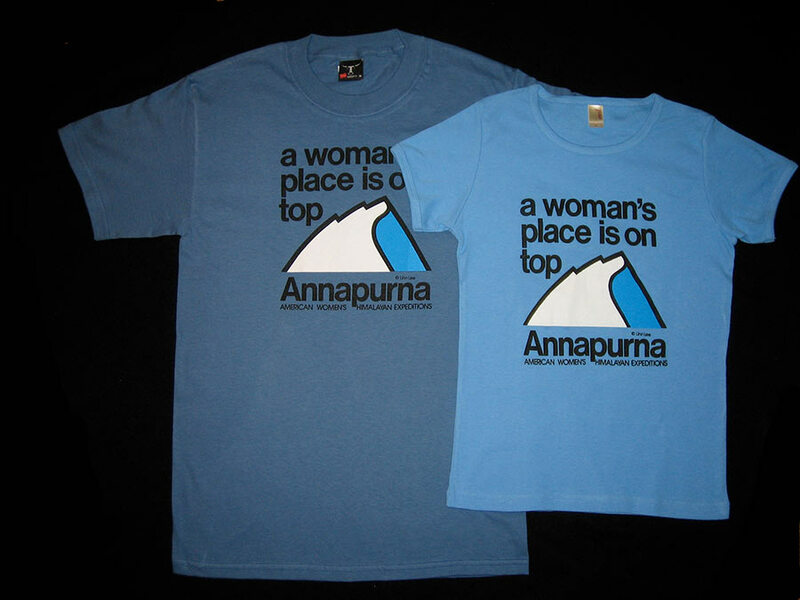 To learn more about Arlene and her mountain adventures, you can read her books below and also learn about the classic Annapurna A Woman’s Place t-shirts that funded her historic expedition. 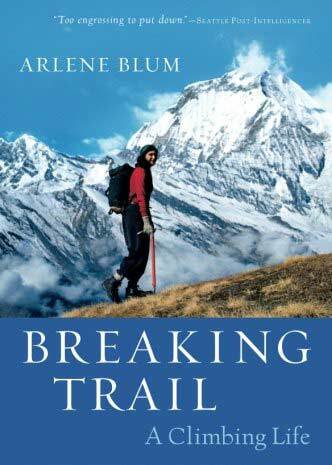 Arlene Blum’s dramatic memoir explores how her difficult childhood in the flats of the Midwest gave her the courage and skills to lead historic mountaineering expeditions and carry out ground-breaking scientific research. Writing with candor and introspection, Blum recounts her triumphs and tragedies, and provides a probing look at what drove her to risk her life — attempting high, remote summits around the world. Blum also relates the story of her scientific career, which, like her mountaineering, was filled with visionary accomplishments, including reducing the use of toxic flame retardants and other harmful chemicals worldwide. For twelve photo-adventure albums, a series of dramatic color slide shows to accompany Breaking Trail, click here. Read more praise for Breaking Trail here. This best-selling account tells the dramatic 1978 story of the American Women’s Himalayan Expedition reaching the summit of Annapurna I, the world’s tenth-highest mountain and one of the most difficult peaks to climb. This history-making ascent marked the first time Annapurna I was summited by an American and by a woman. 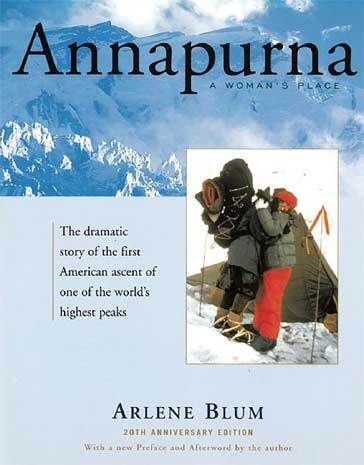 Fortune Magazine chose Annapurna as one of “75 books that teach you everything you really need to know about business,” and National Geographic Adventure Magazine selected it as one the “100 best adventure books of all time.” The expedition’s incredible journey, as chronicled by Arlene, continues to inspire in this extraordinary tale of triumph and personal commitment. 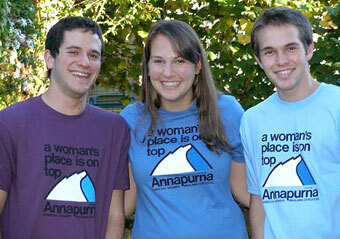 These shirts come as regular style and women’s cut and are made of 100% preshrunk cotton. Meet on film the remarkable women depicted in Arlene Blum’s best-selling book, Annapurna: A Woman’s Place. This video tells the inspiring story of thirteen women who in 1978 did what no American had done before. They climbed Annapurna I, one of the world’s highest and most dangerous mountains. 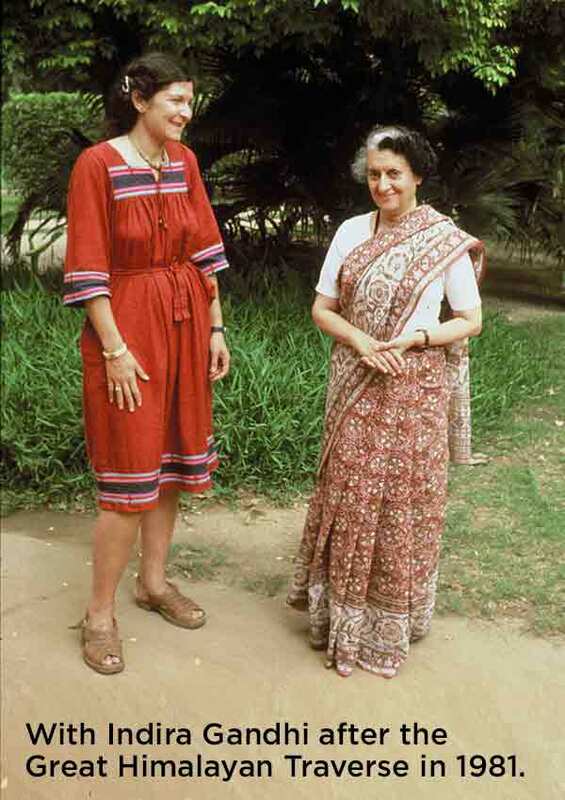 Filmmakers Marie Ashton & Dyanna Taylor joined the expedition to capture on film the drama of this historic adventure. Their compelling footage follows the expedition from the lowlands of Nepal, across glaciers and steep ice slopes, to the triumph of the summit and the tragic loss of two team members. This easy-to-use Nepalese language course was developed for Arlene’s Himalayan Trekking Course at U.C. Berkeley by Usha Jain, Minu Singh, and Arlene Blum. It consists of three hours of audio instruction accompanied by a written text. Learning some Nepalese before your trip shows your respect for the people and culture of this ancient Himalayan country.